Do you ever lie in bed and think about how much you and Goldilocks have in common? Your mattress might feel too soft or too hard, and may prevent you from getting the sleep you need and deserve. If you’re a side sleeper, then this situation is even more urgent, because your weight is concentrated in the shoulder and hip area. If the surface of your bed is too hard or soft, not only can sleep evade you, you could be harming your back and joints. This guide will help you find the best mattress topper for side sleepers. 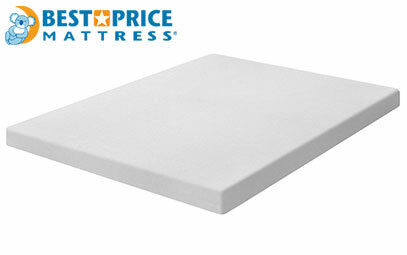 In this article, we’ll share our side sleepers mattress topper picks. There are a ton of options out there, but we’ve narrowed it down to just a handful to help make your decision easier. Have you ever tried lying on your side on a hardwood floor or a slab of concrete? It’s really uncomfortable, right? There’s a reason it’s so uncomfortable, and it has to do with something called pressure points. The two main pressure points for side sleepers are the shoulders and hips, although the torso shouldn’t be neglected either. What happens is that side sleepers concentrate most of their weight in these areas. It’s a simple law of gravity. Ideally, when you lie on your side, your body should maintain a neutral spinal alignment. Parts of your body will sink, and others will stay flat, and this allows your spine to look like a straight line when you view it from the side. The problem occurs when a mattress surface is either too hard or too soft. If it’s too hard, then these concentrated weight areas can’t sink down enough to allow for a neutral spine. If the bed is too soft, then the body will sink too much. Either scenario is a recipe for sleepless nights and back pain. Because of this situation, side sleepers have to take extra care when they’re buying mattresses, toppers, pads. They need a sleeping surface that accommodates their uneven weight distribution, and not just any topper will do. If you’re looking for a solution that simultaneously provides support while also making things soft and cozy, you may love the MALOUF – we're calling it our best mattress topper for side sleepers. 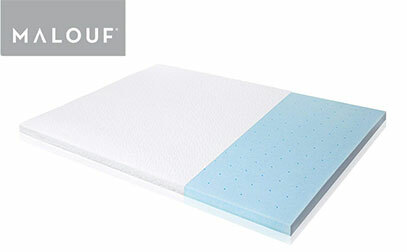 Because it’s made out of memory foam, the makers of the MALOUF topper added both a gel infusion and ventilation to prevent sleepers from getting too hot. Perhaps the best standout feature of this pad is that it comes with a removable bamboo cover. 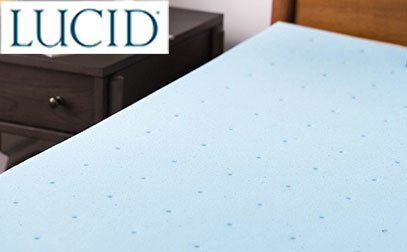 There’s nothing worse than having a mattress topper get ruined due to a spill or accident. But, because the MALOUF has a removable cover, you can simply wash the cover, and the surface underneath is more likely to stay clean. The only potential downside is that this topper is on the pricey side. However, because of the quality of the foam in the topper, this pad is the next best thing to buying a whole new bed. Most people think it’s worth it after they’ve tried it. One million likely people can’t be wrong. 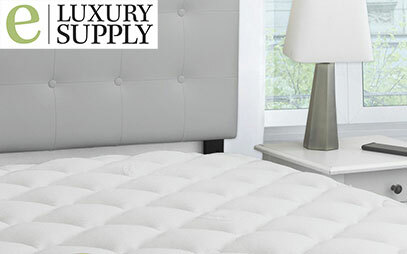 More than one million people have chosen the eLuxury Supply topper to make their beds more comfortable and ergonomic. This company really takes care of their customers and they openly state that you have “their word” that they’ll work with you until you’re satisfied. This pad is extra thick. It’s the same topper that’s at several famous hotel chains, but they’ve added even more filling to it. And the filling is one the best parts because it’s hypoallergenic and cruelty-free. It’s made of Revoloft Fiberfill, which feels like down feathers, but doesn’t cause allergies or animal cruelty. The plush mattress topper is plenty thick at 1.5 inches, and it doesn’t compress, even after months of use, but having an actual memory foam pad would be helpful. Thankfully, there is an upgraded version of this model that does include a two-inch think memory foam insert. It's truly one of the best rated mattress toppers for side sleepers. To some people, the Best Price Mattress topper is nearly like getting a new mattress for the price of a topper! It features a four-inch thick hybrid foam surface. This means that the top layer is one-and-a-half inches of soft, contouring memory foam and below that is two-and-a-half inches of high-density memory foam. The result is an extreme level of comfort and superior motion isolation. This pad would be fantastic for just about anyone, but especially those with innerspring mattresses that wake up the other partner when one person gets up to go to the bathroom or even just rolls over. There’s not much we can say about this brand of topper that isn’t glowing, though there were some complaints about the odor the pad gives off when you first open the package. It does dissipate within a couple of days, but if you’re looking to sleep on this on the same day it arrives, you may need to be patient for a couple of days. LUCID offers the closest thing to a customizable mattress topper. You can choose from two thicknesses: two or three inches. In addition to that, there are four different materials, too! The LUCID is a moderately priced solution that performs very well. Do not abuse this pad, however. There have been some complaints of the foam splitting in two when the pad is being moved. So, if you plan on relocating, be extra careful. This brand promises to make your bed feel new again, and they seem to have delivered quite well on their claims. SleepJoy uses a special ViscO2 memory foam that relieves pressure points so effectively that you may never wake up feeling uncomfortable again. At least not from unsupported pressure points, that is! The topper is made in the USA, and the company is making great strides to protect and preserve the environment. They make their foam topper partially from plant-based materials like castor beans and soybeans. The only caveat is that some repeat purchasers have reported that the quality of the second topper they bought wasn’t quite as good as the first. They’ve expressed concern about new potential new manufacturing processes and quality control. However, each product does come with a two-year warranty, and the customer service team is top notch, so you should keep that in mind. When it comes to thickness, sometimes the thicker, the better. A thin surface can wear out faster and provide less support. However, a dense surface is likely to last longer while giving you the support you need. Memory foam with a thickness of two to three inches works well for many people. 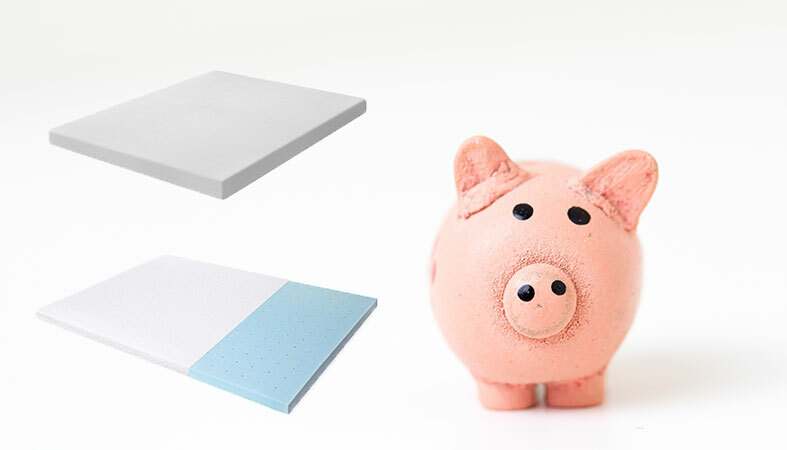 Two or two-and-a-half inch pads are also a viable option, as long as the foam or other material is high-quality. You can find great quality, thinner options, but if you want extra cushion for this position, a thicker option may work best. We’ve talked a lot about pressure relief, and we cannot emphasize enough how important this feature is. No matter what position you sleep in, pressure relief is critical. However, if you’re a side sleeper, then adequate pressure relief is a must. If you’re sinking too deeply into your bed, or your shoulders and hips are at an awkward angle, it’s a recipe for discomfort and damage. There are several types of material to choose from, including memory foam, latex, wool, and alternative down. Something to keep in mind is the topper’s density. A material that is too low-density won’t last long, and it could become uncomfortable to sleep on in a matter of months. Something with a density that’s too high might seem too firm at first, but it might be the best choice if you’re looking for longevity. This measurement is highly subjective, but in general, you should seek out a pad that has an ideal blend of firmness and support. What does this mean exactly? They sound almost like a contradiction, don’t they? Again, we’ll stress the idea of pressure points. You should feel well-supported when you lie down. However, you don’t want it to be rock hard either. The same goes for the other end of the spectrum. Something that’s too soft may cause you to bottom out, but it depends on the materials. When items come from the factory, they tend to have a bit of a smell. This odor is often referred to as off-gassing, and it occurs when the bedding’s volatile organic compounds begin to break down. Fortunately, this odor has been deemed harmless, and it usually dissipated within a couple of days. If you have a concern about the scent and its safety, look for certifications like CertiPUR to ensure that the company is using materials that won’t harm you. 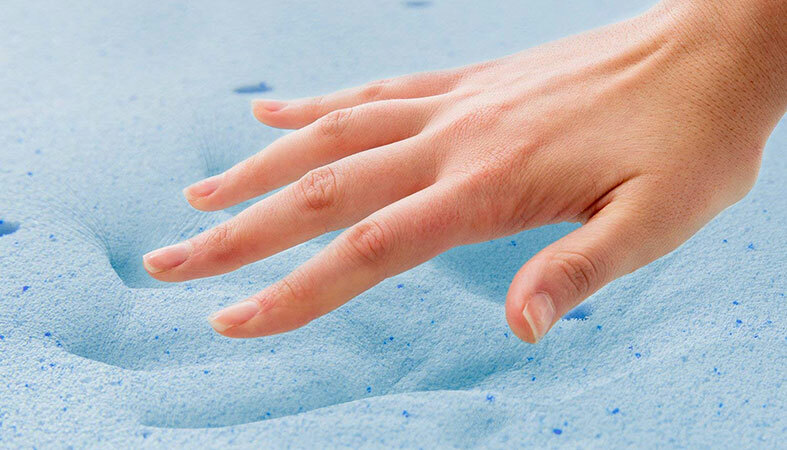 Mattress toppers and pads can last from one to five or more years. It’s all about finding a quality product at a reasonable price point. One thing that will harm the products durability is staining and misuse. To get the most life out of your new purchase, follow the cleaning instructions. Many say to spot clean only as you can’t often put the pad in the washing machine. Make sure the brand of topper you buy has a washable cover. If it doesn’t, then you may want to invest in one. Prices varies widely. 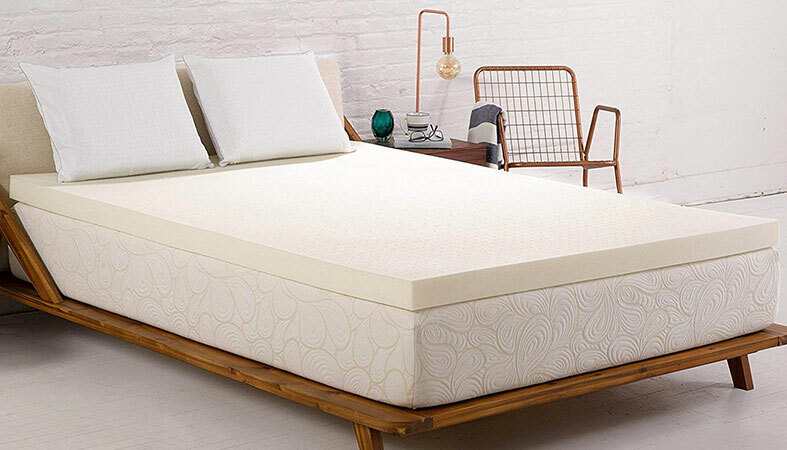 For this article, we stuck with brands in the $100 to $200 range, which is the same range that many mattress toppers falls into. Often, you get what you pay for, but there’s so much variation and disruption in the bedding space, that we’ve found that price isn’t always the best indicator of quality. The most important thing to consider is comfort and spinal health. Getting a full night of rest is priceless, and something to consider when buying. It sounds like a maneuver from The Exorcist, but really, it’s not as terrible as it sounds. Side sleepers have a tendency to over rotate their legs and upper body. The result is that one knee drops, and it’s no longer in line with the other leg. While this isn’t life-threatening, if it’s not handled, it could lead to back pain and other issues with the spinal cord. If you are experiencing pelvic rotation, you can try placing a pillow between your knees to keep your legs in line. Does it help back, hip, and shoulder pain sufferers? Yes, many people report that after purchasing a mattress topper that their pain went away. By putting your spine in proper alignment, especially when you sleep on your side, you’re relieving pressure and allowing healing to happen. Are they suitable for heavy people? Many are, but not all. Look for high-density materials or memory foam that’s thicker than two inches can help. 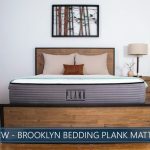 Are bamboo bed toppers the best for side sleepers? Bamboo and can be one of the top choices, especially for side sleepers. Bamboo has the advantage that it resists both sagging and mildew. It’s also known for being an incredibly soft and silky-smooth surface, which can make you feel pampered and at ease. What is the best bed for side sleepers? In general, top rated bed for side sleepers will be a mattress that has an ideal blend of firm support and plush comfort. It’s not always easy to find that balance. Another thing that complicates the issue is that everyone has different preferences as well as interpretations of what constitutes soft and firm. We do have some specific recommendations in this article titled, “Our Top Rated Mattresses for Side Sleepers.” Take a look for some inspiration. Beds can be expensive, but mattress toppers are often much more economical. However, buying a pad to extend the life of your mattress isn’t the only reason to get one. Many people find that they fall out of love with their new bed after a short time, but they don’t want to go through the hassle of a return. For a couple of hundred dollars or less, you’ll be able to experience a significant improvement without having to incur the expense of a new bed. Can You Sleep on Your Back When You're Pregnant? Is it Safe?